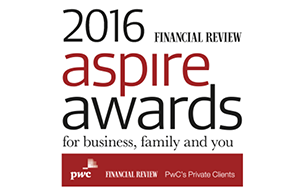 The Southern Star Group was honoured to be named a finalist in the 2016 AFR & PwC Aspire Awards. The awards celebrate Australian private and family businesses’ success stories and leaders, highlighting outstanding achievements across a range of categories. Finalists for the 2016 AFR & PwC’s Private Clients Aspire Awards are leaders in their field, and are outperforming their competitors and have an outstanding track record that deserves to be celebrated. The Southern Star Group is proud to be a finalist in the Private Business Growth and Transformation category. The nomination is recognition of the hard work and achievements the company, its management and team members have accomplished. The Group has experienced significant transformation and growth in recent years, including the acquisition and evolution of brands. We look forward to continuing our journey as a successful and constantly improving Australian business.